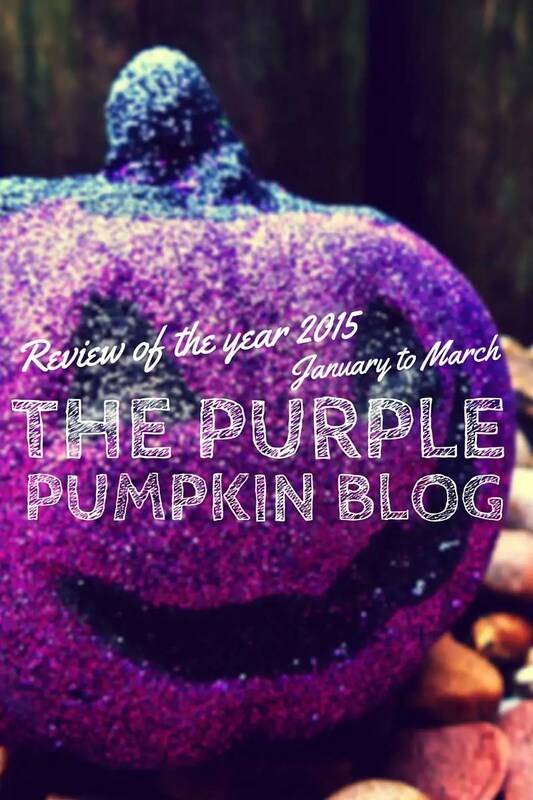 As 2015 draws to a close, it’s time for my review of the year. A chance for me to look back on my blogging year, as I did in 2014, 2013, and 2012 and share the highlights with you, my lovely readers. I’ve left this all very much to the last minute, and I did debate with myself whether to bother to do a review of my year. I then realised I’d kick myself if I didn’t, as they’re actually fab to look back on years later. I know that this won’t be as in depth as previous years, I think I’m just going to highlight posts – life, travel, photography, recipes, crafts, Disney… maybe all, maybe some, I’ll see how things go! As I looked back at the review of the year for 2014, I see how I thought that the year had gone pretty badly, and it’s sad to feel exactly the same way at the end of 2015 – if not worse. I started 2015 with so much gusto and drive for a good year, and as each month progressed, I slunk deeper and deeper into depression, which was made even harder, because all I did was hide it from the public as much as I could. And by public, I mean my friends online, and my blog readers. Trying to be two different people was hard, and that took more of a toll on my mental health. But, as my blog is also my main source of income, I had to pull it together, and get the content out there, and I hope that you’ve enjoyed what I’ve brought to you over the past year. I want to take this moment to thank you from the bottom of my heart, for reading, commenting, and sharing my blog posts over the past year, and previous years too. In all the haze of mental fog, I missed my 4th blog birthday, which is such a shame, but I’ll have to make my 5th one even more special. Right, let me get on with this, I’m sure I’ll write a more in depth retrospective, and prospective post in the new year. I organised my home office, and sitting here as I type this post up, I’m surrounded by clutter and junk. I’m pretty sure that hasn’t helped my mind, and it’s first on the agenda for 2016 and sorting my self out. If there is a buzz phrase for myself for the new year, it is “sort it out”, as I know along the way, I’ve just lost the plot in so many ways. When I look at that post, I see shiny, fresh, full of promise and inspiration, and I am going back to read that post after I finish up this review of the year, to re-inspire me. I worked with BRITA to create a recipe using filtered water – so I made pitta bread and souvlakia. We had souvlakia for dinner last night – I should have remembered this recipe to make our own pitta, instead of buying it from the shops. I started my Halloween in the Wilderness 2015, Pre-Trip Disney Planning Report, it feels like so long ago when that holiday was booked, and it’s not really that long since we’ve been back. I’m working on the trip report, and will continue to write those in 2016. I never did completely finished the pre-trip report – a sign of me running out of time. I kick started my Project 365 : 2015, and committed to not only a photo a day, but a tip or idea each day too. You’ll find all 365 ideas and tips for Project 365 here. I continued my role as a British Lion Eggs Shortcut Eggspert, with my first recipe of the year being Chorizo & Potato Tortilla Española. For Chinese New Year, I made a simple paper plate craft for the Year of the Goat. My son turned 16, and I took his annual birthday photo – oh how he has grown! For my son’s 16th, we threw a small family party at home. I worked with Balloon Time to create a decoration to commemorate this big birthday – a ceiling of 16 floating photographs! We went to see Lionel Richie in concert at The O2, London, which was amazing! We had such a great night out. I worked with Sharpies to create some easy decorated eggs for Easter. I decided to change the layout and design of my blog. Look out for another change in 2016 – it’s due an update! I made some very delicious Cornflake & Coconut Shrimp for some work with Collective Bias and Kelloggs.